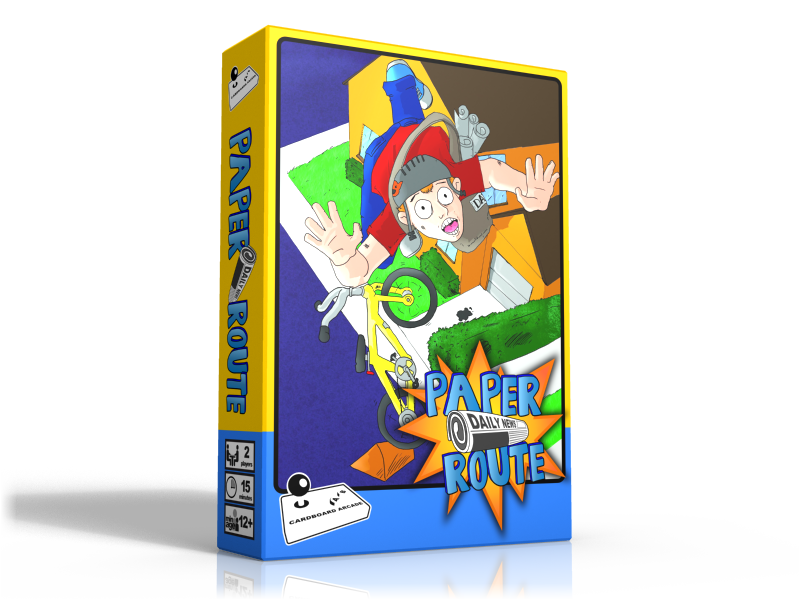 Paper Route is an analog re-creation of classic video game action. You will be scrambling to press buttons to complete combinations, only you will be using cards instead of a video game controller. Your goal is to deliver papers, avoid danger, and vandalize houses better, and faster than your opponent. 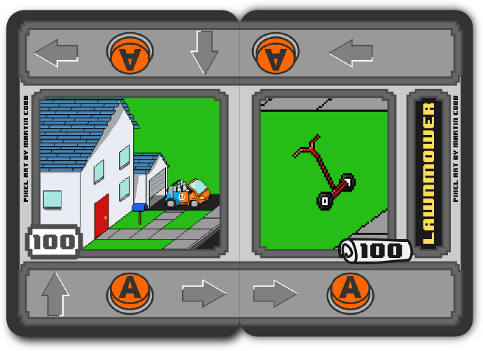 There are no turns in Paper Route. At the start of a round five houses are paired with five obstacles. Together, they form a sequence of buttons that you must play in order to score points. Once both players agree, the round begins and you flip cards, one at a time, from the top of your deck and play them on a house. The faster you can play, the better… but be careful! If you mess up, you lose a life and if you lose all your lives, your opponent wins! Featuring Pixel Lincoln artist Martin Cobb! 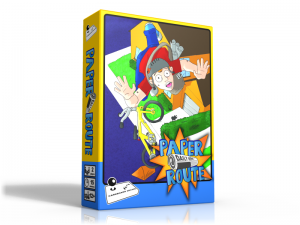 Paper Route is my first FREE print and play release since Doubloons! in 2008! I love making games, and I want to share them with the world. This is a way for me to do so without publishers getting in the way. You can find all the files you need from the links below. If you are unsure how to make the game, or would just rather support my efforts, you can also purchase a fully printed copy from The Game Crafter. Just hit he order button to be taken to the store page! For more information, click the cardboard arcade logo.